Having a crazy week. I felt like a soothing waterfall today. This is an image from my trip to South Dakota which seems like ages ago but was just last summer. 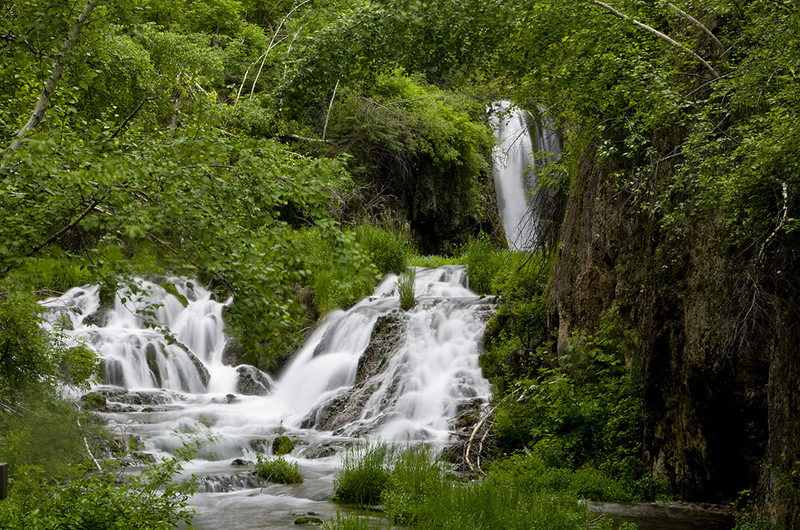 This is in Spearfish Canyon in the Black Hills and is Roughlock Falls. It was beautiful with the large main fall in the background and then how it split into the 2 wider falls over the rock.